If recent runways are to be believed, maximalists can rejoice. 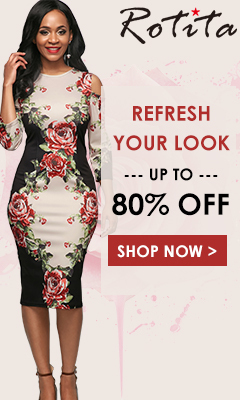 That’s because countless designers decided to bring the 80s back for Fall 2018, from the strong shoulders at Marc Jacobs, Gucci and Gareth Pugh to the glitzy animal prints at Tom Ford and Halpern. And you can forget that whole no-makeup makeup trend — eyes were outlined in a rainbow of shades (especially blue) with Gigi Hadid even decked out in a beauty look at Anna Sui inspired by a picture of the designer in the 80s. Red lips and glitter were also popular, making us flash back to the decade of excess. When it came to hair, it was all about statement hair accessories. 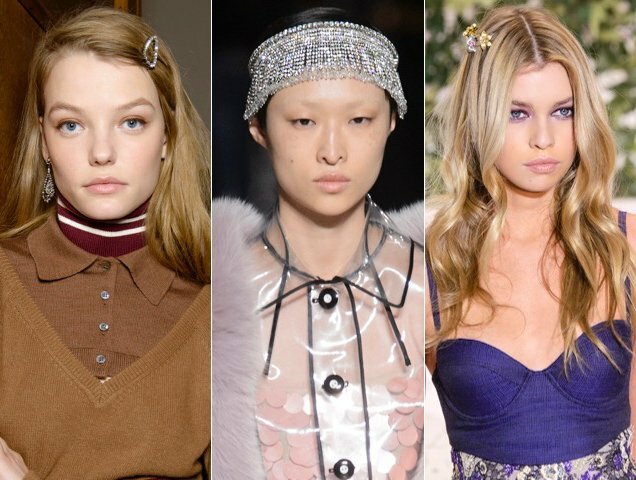 While Alexander Wang pushed to resurrect the claw clip and Prabal Gurung advocated for those zigzag headbands, the majority of hair accents were all about the bling. Michael Kors relied on sparkling versions of the bow barrettes we sported as kids. (Simone Rocha also embraced bold bows in red and black.) No one does maximalism better than Dolce & Gabbana and this season the brand favored barrettes with one model’s head literally covered in the bedazzled accents. Despite their newfound ubiquitousness, OTT hair accents aren’t a new trend. 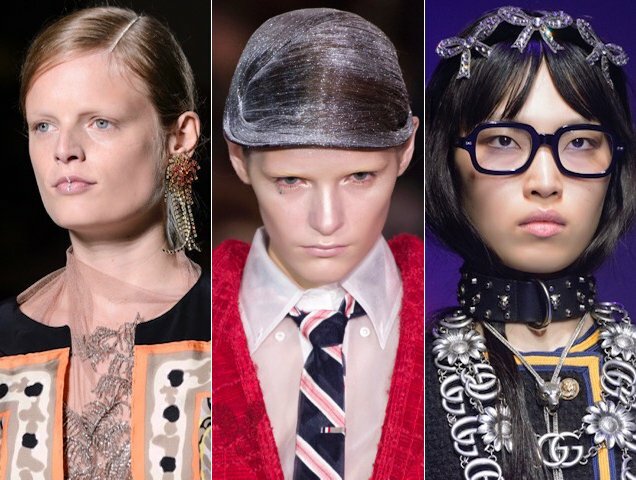 During the Spring 2018 season, hairstylists went super luxe decorating manes with everything from diamantés along part lines (Dries Van Noten) to dousing heads in glitter (Thom Browne) and even a parade of brooch-like glitzy bows (Gucci). 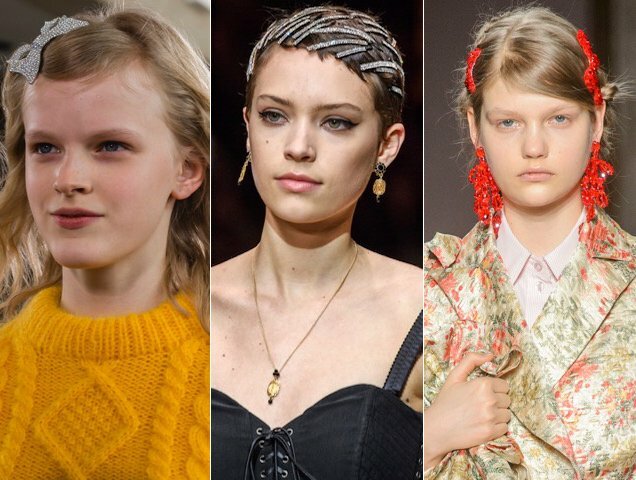 And blingy hair accessories also popped up back in Fall 2017. N°21 was relatively low key, simply tucking back models’ strands with rhinestone barrettes, while La Perla nestled a few clips into models’ voluminous tresses. But Miu Miu outdid everyone by topping off its models with beaded bands, one even featured dripping diamonds down the back of the head. The first stop off the runways is usually the red carpet and the glitzy hair accessories movement was no exception. The Oscars saw stars like Lupita Nyong’o and Tiffany Haddish honoring their heritage with glistening updos. Saoirse Ronan took a chain mail approach to the top knot at a film festival and Anya Taylor-Joy actually rocked one of Dolce & Gabbana’s crowns at this year’s BAFTAs. See how celebs are going luxe when it comes to their hair in the slideshow above.